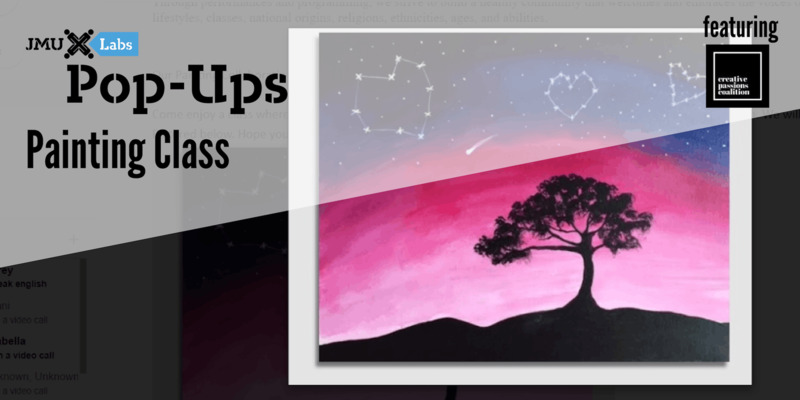 Come enjoy a class where members of Creative Passions Coalition give you a painting tutorial. We will be painting one of the members favorite artistic piece’s Dusk. Pictured in the event cover photo above. All supplies and expertise will be provided for FREE. The purpose of this organization is to promote the creation and performance that engages communities and provides a platform for voices to be heard beyond social, cultural, political, and economic barriers. This organization exists to give voice every passion and every pressing issue that urgently needs a place for expression. This organization celebrates the power of the voice and values creative expression as a uniting force within our society. We challenge our members to use their art to inspire courage, hope, creativity and self-empowerment within their communities. Through performances and programming, we strive to build a healthy community that welcomes and embraces the voices of people from all races, genders, sexual orientations, lifestyles, classes, national origins, religions, ethnicities, ages, and abilities.